All Audubon homes currently listed for sale in Audubon as of 04/20/2019 are shown below. You can change the search criteria at any time by pressing the 'Change Search' button below. "New Construction!!! Beautifully landscaped colonial home has great curb appeal. Step into the foyer and see beautiful hardwood floors throughout the whole home. To the right is a large dining room with an adjacent space for a potential den, office or library complete with a gas fireplace and a slate hearth. To the left is a large open concept living/great room that leads to an eat in kitchen with a large island and extra storage cabinets. There are floor to ceiling cabinets with quartzite counter tops, Murray Fiess fixtures, stainless steel Kitchen Aid appliances and a microwave drawer. The oven is a commercial grade, six burner dual fuel convection range. A few steps away is an elegant half bath, pantry and a mud room. The second floor is complete with 4 bedrooms, 2 full bathrooms and continues the hardwood flooring throughout. The master boasts a walk- in closet and a beautiful bathroom with a double bowl vanity, illuminating chrome fixtures, glass shower door and shower seating. There are also 3 more bedrooms with plenty of closet space, a second full bathroom and an upper floor laundry room. There is also a spacious 21 X 22 ft. garage with carriage house doors. The unfinished basement is 1600 sq.ft. with 9ft. ceilings, a sump pump system, a Navien tankless hot water heater, 1 zone Rheem HVAC system and a duplex sewer pumping system. The attic is pull down stairs with the 2nd zone Rheem HVAC system. 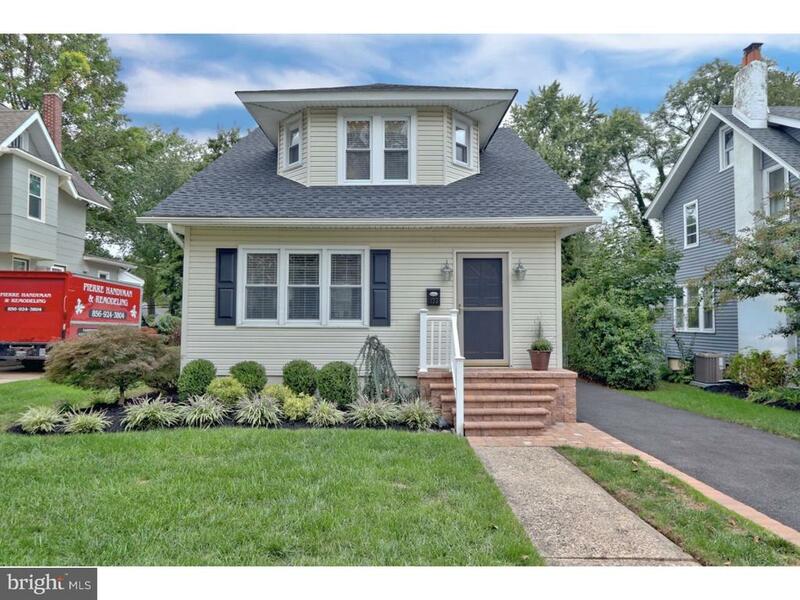 Also comes with a 2/10 home warranty.~ This home is minutes away from downtown Haddonfield, downtown Haddon Heights, Garden State Park Complex and Patco Hi-speed line. 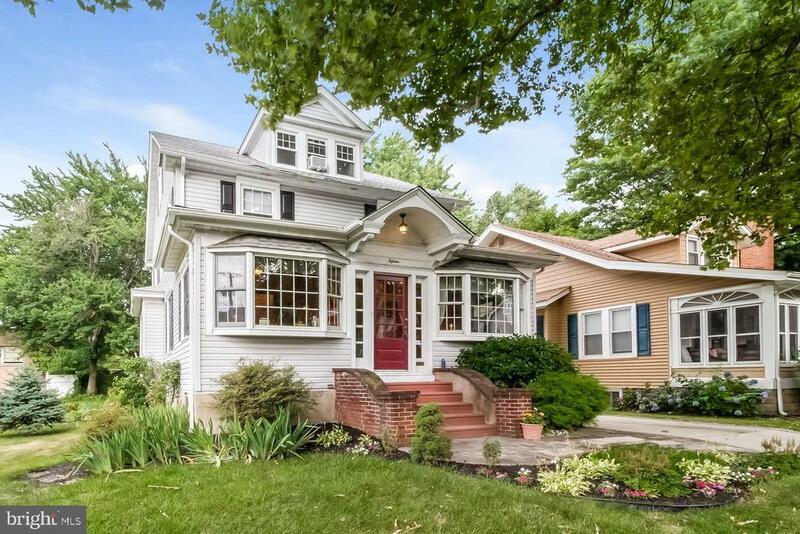 Beautiful tree lined street on the borders of Audubon, Haddonfield and Haddon Heights. Great location." "Searching for a large bright and sunny home with A LOT OF GREAT LIVING SPACE convenient to everything? 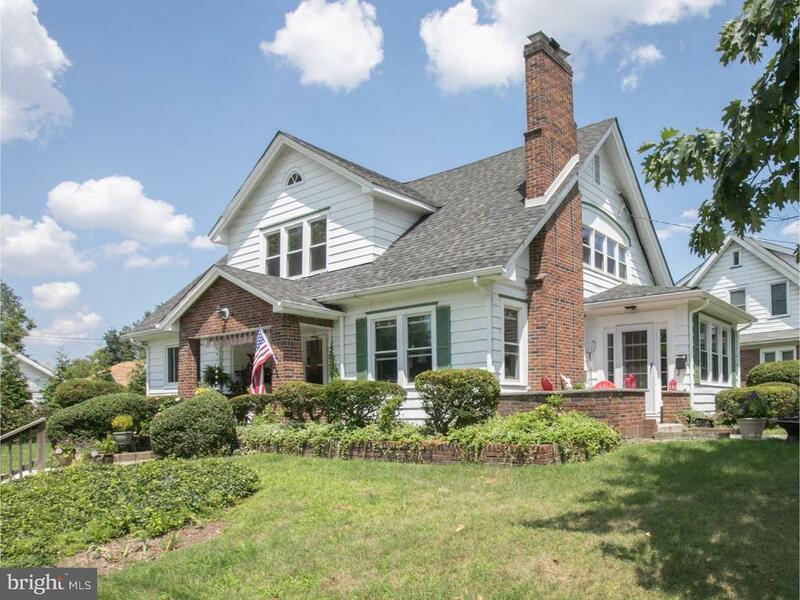 This home has plenty of room for multi generations, blended & growing families. 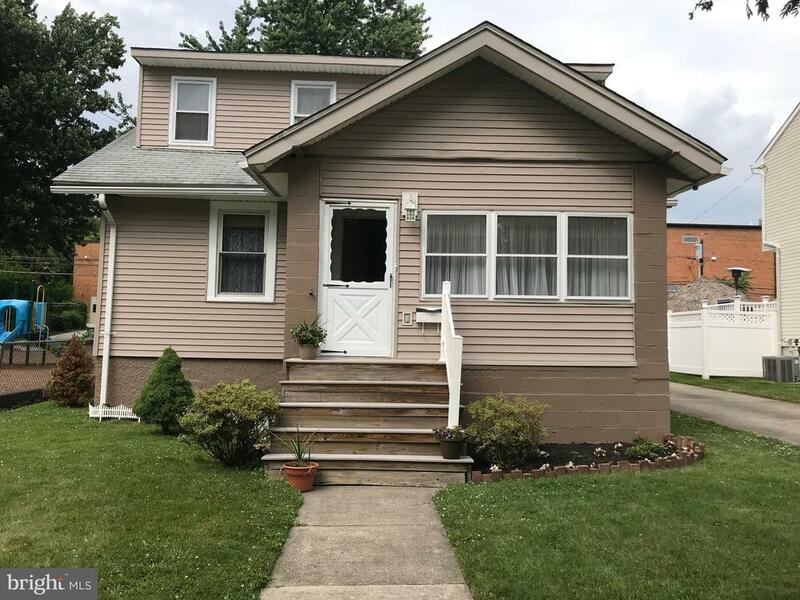 Low maintenance, fully updated (2018) with NEW 2 zone HVAC, NEW 150 AMP electric, replacement windows, NEW hot water heater home features 4 bedrooms, 3 full baths and has extremely flexible living areas. Enter into spacious tiled foyer and your first staircase. To the right is the living room w/brick gas fireplace, 4 windows, crown molding & gleaming hardwood flooring throughout entire home. Continue on to the home office w/crown molding, built-in shelving & 15 pane glass door. (This room could be a main level bedroom, etc.) Flowing nicely to the left of the foyer is the large dining room with 4 windows, large bright eat-in kitchen complete with breakfast bar, additional room for table/chairs, upgraded stainless appliances, lots of beautiful white easy close wood cabinetry w/granite counters, pantry & direct access to rear yard & large dry basement with good head height & lots of storage. Through the dining room is a second large foyer/mud room featuring tile flooring, full bath, laundry hook ups, access to garage and second stair case. Upstairs from the first staircase, you will find the large master bedroom w/ sitting/make-up/extra closet area w/window, walk in closet w/window, additional double closet, and full bath complete with tiled double shower, vanity, and window. Top of the stairs to the left is the main bathroom w/large soaker tub, window, tile flooring, vanity & linen closet. Bedroom #2 has large closet, 2 ceiling fans, 4 windows & built-in shelving. Bedroom #3 has window, ceiling fan, built-in shelving & closet. You access bedroom #4 or (Master bedroom #2/game room, etc.) through the second staircase. Huge room w/6 windows & recessed lighting. Retreat and function live in harmony here~plenty of space for play and overnight guests. Professional landscape & hardsc"
"Welcome to this beautiful, well maintained, and pristine home in Audubon. Pride of ownership is apparent the minute you arrive! The stunning exterior of the home, lush landscaping and perennials (front and back) enhance the beauty of this Tudor style classic. Enter the grand foyer area to polished hardwood flooring throughout, lavish trim and moldings, and high ceilings that keep with the integrity of this style home. The formal living room offers a gas stone fireplace. The large separate dining room will accommodate all your family gatherings and parties. The kitchen is expansive and has been modernized and updated with granite counter tops, decorative backsplash, Bosch stainless appliances and an abundance of cabinets and built in pantry. The family room is tucked in the back and offers views of the beautiful backyard. Spend mornings and evenings in your 4-season sun room with a wall of windows, that stream in the sunshine. The large laundry/ mud room and powder room complete the first floor of living.Upstairs will not disappoint as well. The master bedroom is expansive and closet space is abundant. 3 additional bedrooms all are of considerable size and include ample closets as well. 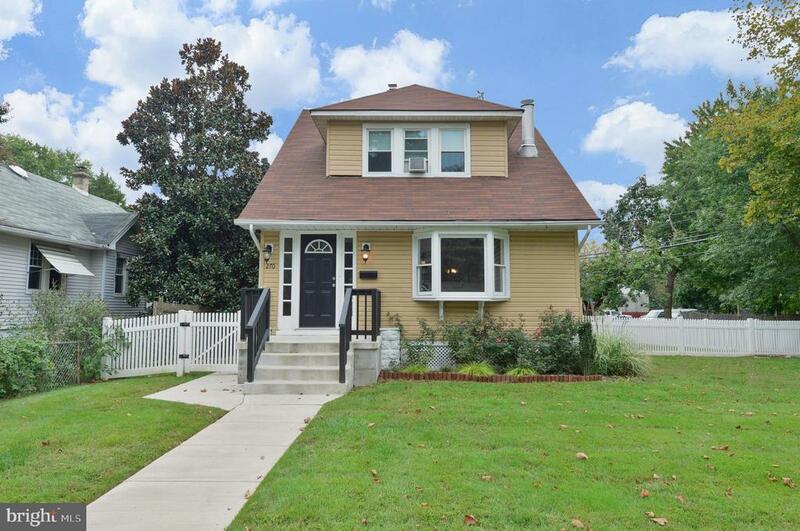 Two additional full baths have been updated and complete the second floor.Additional upgrades and amenities in this wonderful home include: Walk up attic with whole house fan and plenty of storage. 2 zone air conditioning. Irrigation system front and back. Large shed. Double lot. Newly repaved driveway. Gutter Guards. All knob and tube removed and updated electrical, 200-amp service. Incredible expansive dry basement with high ceilings, work bench and space for all your projects, a man~s dream!Homeowners have lovingly cared for this impeccable home and have updated it with all modern conveniences while honoring the architecture of this home!Schedule your visit to tour this incredible home located on a wide, tree lined street close to major highways, downtown Haddonfield's shops and re"
"Welcome to this beautifully maintained and updated home located on a gorgeous tree lined street. The kitchen features an extra large center island with custom cabinets, Granite Countertops,and a Stainless Steel Appliance Package as well as gorgeous hardwood floors. From the kitchen you can enjoy your covered porch, perfect for outside dinning.Neutral Decor throughout...Step Down into the family room which features heated tile floors, fireplace, 1/2 bath and much more.=The home features 3 remodeled full bathrooms...custom cabinetry, custom tile work throughout,A MUST SEE....The master bedroom features a master bath with clear glass shower.as well as a walk in closet. This SUPER home features 4 bedrooms and 3 full baths, plus a half bath. The location is like no other. Private Driveway, One Car Garage with Opener, Professionally landscaped...The list goes on and on....Come see this beautiful home for yourself!!" "All the work is Done! This open concept home awaits your arrival. Granite kitchen w/ s/s appliances and peninsula opens up to the fam rm addition. Sliders off the fam room lead you to an over sized deck and a large, recently fenced and large rear yard. Professionally done, w all permits, a finished basement with full bath. This space is divided into three rooms , bedroom, living room and full bath. Energy Wise Home- Solar panels have saved the home owner approximately 1200 per year!" "MOTIVATED Seller has found their dream house in the woods-- this new $30,000 price adjustment is for you!!! Brand new privacy fence enhances sunny deck, back yard and gardens. 3rd floor Master suite (2018) with sitting area and potential for your custom bath and closet system! Plus FOUR additional bedrooms all on 2nd floor. Over $100,000 in renovations and system updates since 2013: Beautifully designed gourmet kitchen (2015) AND breakfast nook/extended counter top. Nice size mudroom, charming powder room and deep pantry with lots of storage. The chef in this house seats 12 guests at her long dining room table- wonderful way to bring the generations together for the holidays! The large family room/living room is adjacent to a large study with views of a quiet tree lined street. Haviland Elementary just blocks away (K-2). Mansion Elementary (3-6) & competitive AHS a 15 minute walk. The entry foyer/sun room boasts a DEEP closet which could be modified into a Pottery Barn style bench/coat rack space. 2nd floor has a newly updated bath with new flooring; new walk-in closet in back bedroom. Beautiful hardwood floors throughout, including the kitchen and study. 3rd floor has new carpet, lighting and 23 FT wide bonus area-you customize your own spa bathroom/walk-in closet! More kitchen updates: High end refrigerator and commercial stove. Lots of new countertop space and loads of custom cabinetry. Coffee bar, buffet area, all make this a versatile space for good food & conversation! Beautiful custom dining room wood clad window; additional newer thermal windows throughout. Single layer roof (2015); new HVAC (2015)and new hot water heater. 1st floor CENTRAL AIR. 3 separate 100 amp service panels to house AND 100 amp to garage-An impressive 20 x 20 FT garage w/attic storage/air conditioning and heat/cable ready. Like to work on cars, do woodworking-this man cave is for you! LONG driveway for 4+ cars. Plus large private patio for entertaining. What a pleasure to show. Seller i"
"This home hits all the marks! Curb appeal is only the beginning! Impeccably maintained, you will be delighted as soon as you walk in the door. You will love the charm and character, and appreciate all the loving care. Freshly painted, great floor plan. Generous Living and Dining Room, Eat in kitchen with a new dishwasher, a den/office area, powder room and an additional sitting room on the main level of the home. Upstairs you will find 3 bedrooms and a full bath. Neatly landscaped with EP Henry Pavers (front). Detached 2 car garage! The list of amenities includes: Roof (2017), Gas Boiler (2018) hot water heater (2011), 200 amp electrical and service line (2006), 2 zone central air (2006), new driveway and paver steps (2018), Gutters (2014), Sewer water line (2015) with a lifetime warranty through Horizon. There is a central alarm system. Schedule your appointment to see this one today! Home is Where Your Story Begins... you will definitely want to start writing your next chapter here!" "Just Listed! 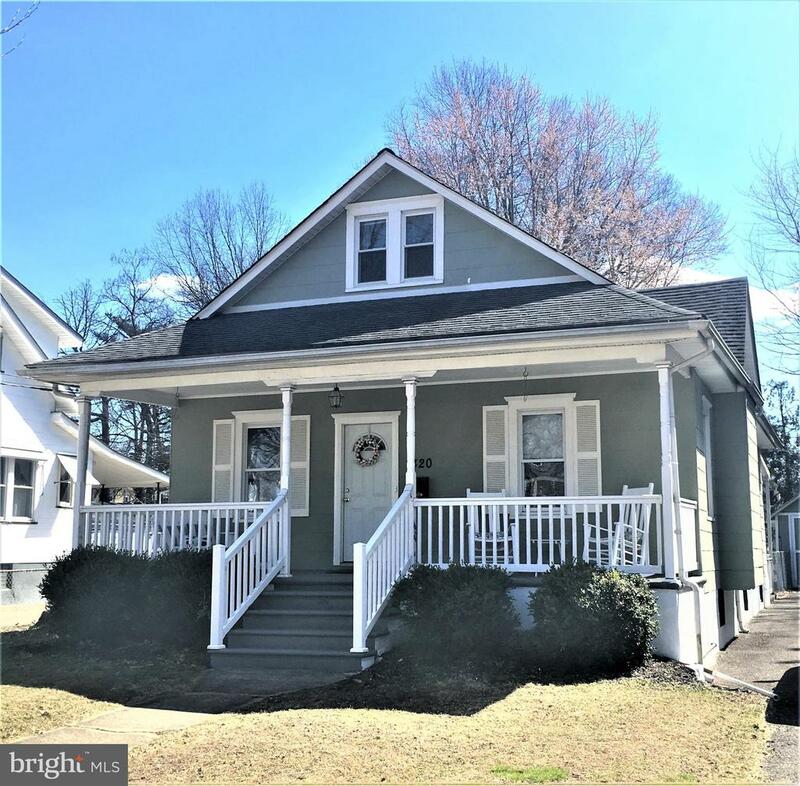 And just in time for Summer, this wonderful 4 bedroom, 2.5 bath home located on a beautiful tree-lined street sits up high and features a lovely relaxing wrap-around front porch and your very own private backyard with in-ground pool and patio. Enjoy endless family BBQ gatherings and celebrate the holidays and watch the fireworks on the 4th of July in style. The first floor of this home has a large open foyer entrance, 1/2 bath, a dining room that flows nicely into the kitchen and living rooms, and a 1st floor master bedroom suite. The large master bath is airy and bright and has been updated and has a skylight. The kitchen has been completely updated as well and features granite countertops, extended countertop seating, recessed lighting, ceiling fan, and a full stainless steel appliance package. The spacious living room has a gas fireplace and mantle. Upstairs has 3 bedrooms and a full bath, freshly painted and with NEW carpet. Additional highlights and features of this great home are the full basement, new washer/dryer, new fence, and an updated powder room. There is also a detached 1-car garage, a natural gas grill and a professionally landscaped backyard. The pool equipment has been updated as well with a solar pool heater, a new pool liner, and a newer filter/pump. 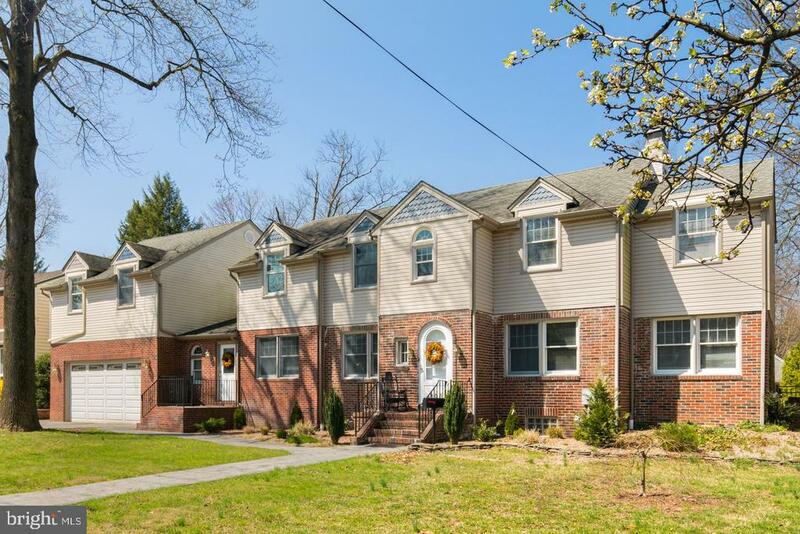 Convenient to parks & public schools including Audubon High as well as easy access to all major roadways into Philadelphia, and 295 North & South. Schedule your appointment today!" 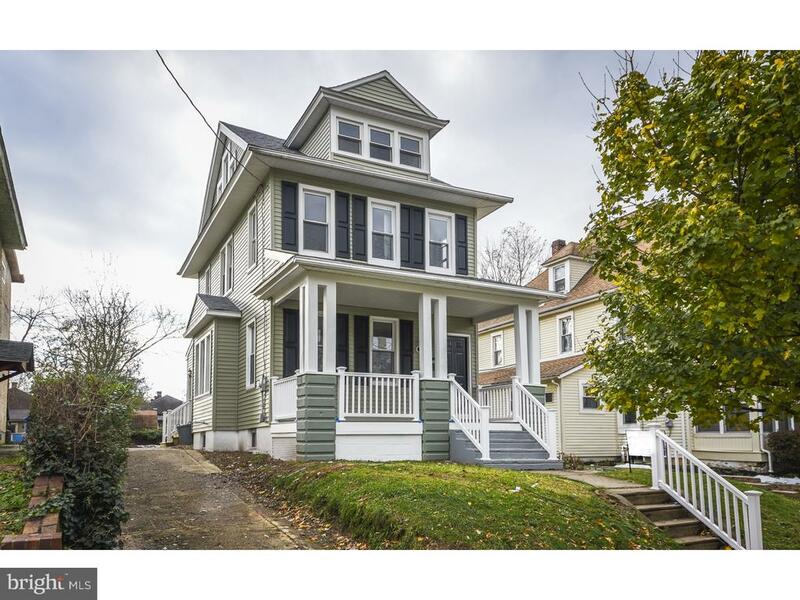 "This beautiful 2-Story colonial home features 5 bedrooms and 2 full baths! Can be used as a single family or multi-family home. The home has 1 car detached garage and a full basement. Two zone gas heat, and central air is only on the second floor. Stone fire place, and hardwood floors through out the main floor. This single or multi family home shows beautiful! Schedule an appointment today!" 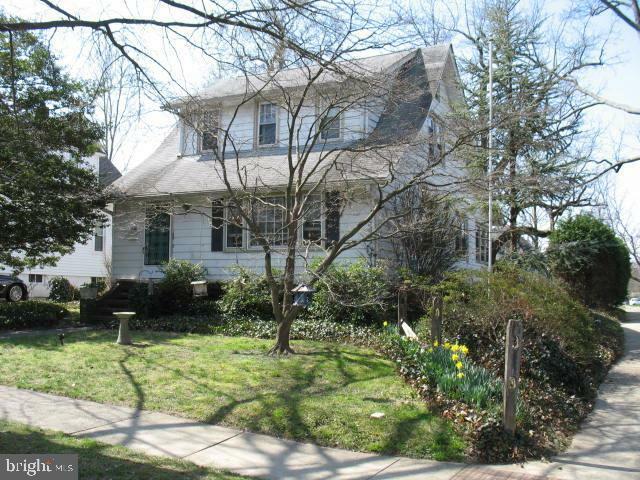 "Come check out this four bedroom two full bath Colonial Home on the Westside of Audubon. The home sits on a large 50 x 169 Corner lot with a good size two car detached garage. On the main level of the home their is a good size living room, a large eat in kitchen, a bedroom, a full bath, a laundry room and an enclosed back porch. Upstairs their are three bedrooms and another full bath. Their is a full basement and a walk up attic for extra storage. All the appliances stay." "Desirable location, quiet street, Spacious 5 bedroom 2 bath home, large bedrooms with great closet space, roomy livingroom with cozy woodburning fireplace, dining room features cathedral ceiling with sky lights enter to open staircase and balcony, eat in kitchen, sliders to back deck to large fenced in yard, nice bar room for entertaining with sliders to deck also. Walking distance to the Kove, and Kunkels. Conveniently located near Elementary School & High School, Blocks away from White & Black Horse Pike, 295, NJ Turnpike, Walt Whitman Bridge." 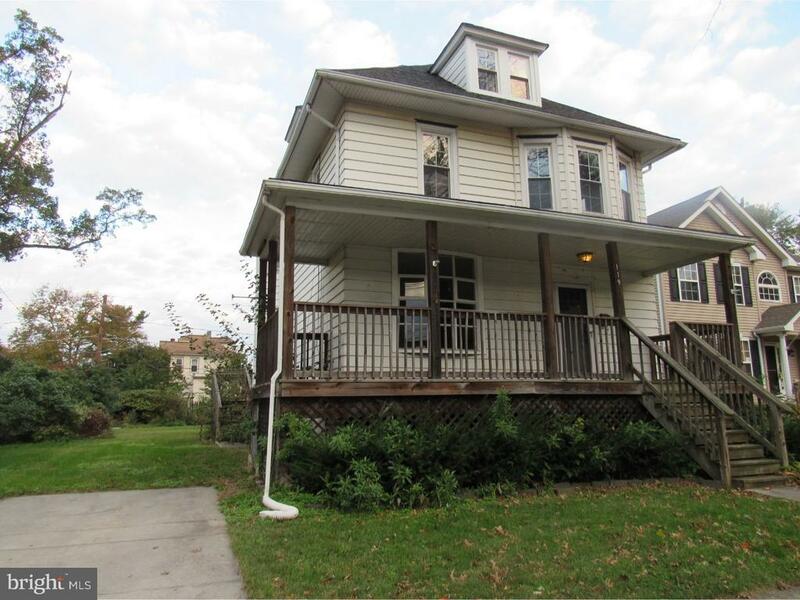 "Great Home on Kings Highway, 3 Bedrooms and 1 Bath, Hardwood Floors in Living room and Dining Room. Freshly Painted LR/DR. Fireplace in LR. Family Room in the back of the house. Nice big yard with detached 2 car garage. In between White Horse Pike and Black Horse Pike. New Heater and Hot Water Heater, French Drain and Sump Pump for a nice dry basement." "Completely renovated colonial boasting beautiful white shaker kitchen, granite counter tops, brand new s/s appliances, new hardwood floors, new wall to wall carpeting, new full bath with custom tile and designer vanity, new half bath with designer vanity, plus new Roof Windows Siding Gutters HVAC Hot water tank. 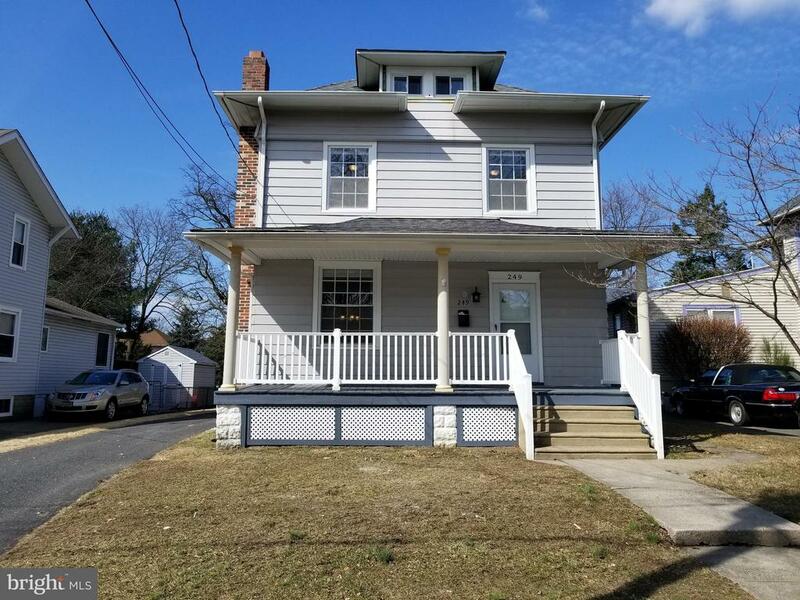 All New electric All New plumbing Hardwood floors Carpets Kitchen Appliances All required permits; enjoy open front porch completely rebuilt with maintenance free durable Trex." "Here is your chance to have a wonderful 3 Bedroom 1. 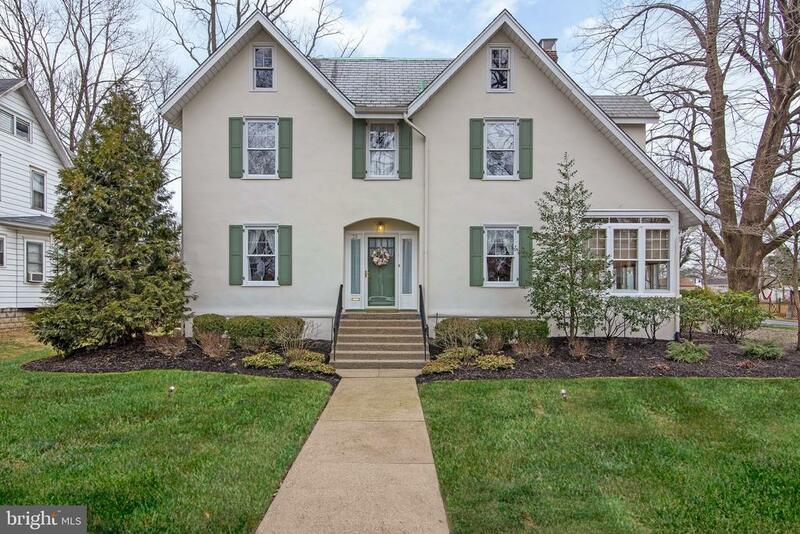 5 Bath home in a wonderful section of Audubon. As you enter the foyer you can step down into the family room with a wonderful brick fireplace. There is also a crawl space in this room. But not your average crawl space. One you can walk down into. So it is perfect for extra storage. On this lower level, you can also do your wash, go into the connected garage with workbench or continue to the Sunroom. Washer & Dryer are also included. 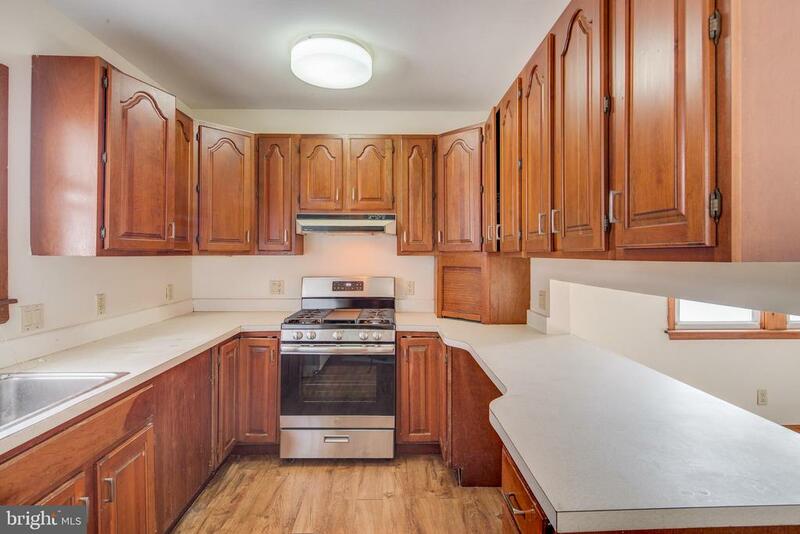 The main level features a wonderful kitchen with plenty of cabinet space with stainless steel appliances. With an open combined living room and dining area, this is fantastic for gatherings. There are many improvements to satisfy anyone. With a Newer HVAC system, a one-year-old roof. The home has some newer windows as well. With a good sized Master Bedroom with very sized closets. There is also a huge Florida/ Sunroom off the back of the home, leading to a very large fenced in yard that will please everyone. What a pleasure to show...Anyone can just move right in! Set your appointments now!" 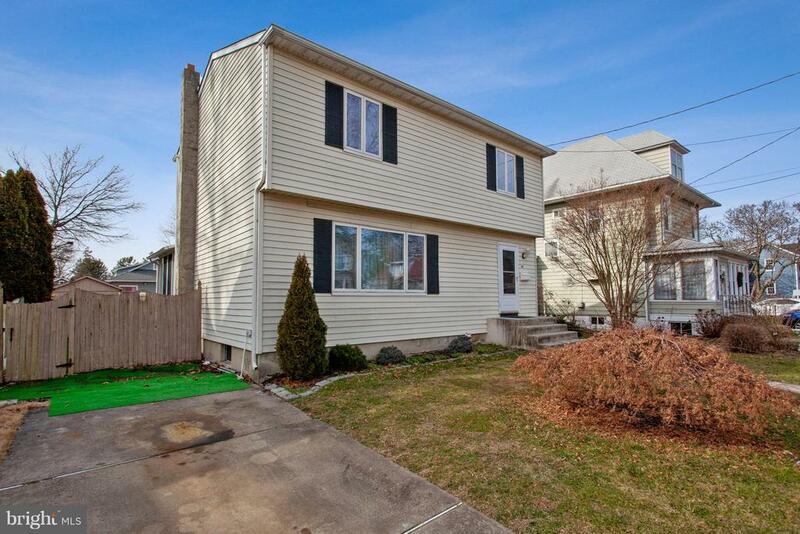 "Come see this three bedroom, 1.5 bath two-story home located on a quiet, tree-lined street. This 1,470 sq.ft. home features a large inground pool in the completely fenced rear yard, main floor laundry room, large flex space in the finished basement and new roof. Enter in the bright and open living room with large front window and flow right into the large eat-in kitchen with breakfast area, modern appliances, plenty of cabinet space and sliding door access to the large sunroom. A convenient powder room completes this floor. On the second floor you~ll find three generously-sized bedrooms and a shared hallway bath. The finished basement is a great flex space to make your own. It has the potentially for a grear or media room, home gym or office, storage or whatever your needs may be. Don~t wait and make your appointment today!" 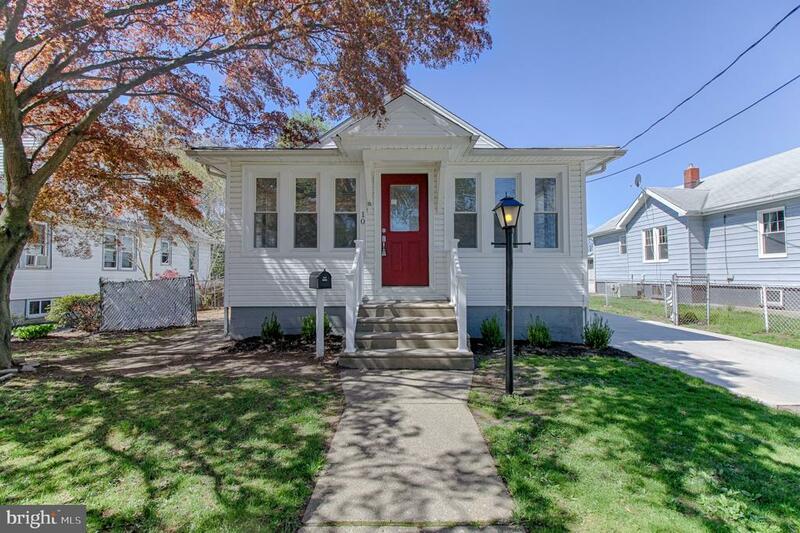 "Welcome home to this beautifully renovated 4 bedroom colonial in beautiful Audubon! With Sun drenched rooms, gleaming hardwood floors and eye catching original details, fall in love with this move in ready home. The first floor is centered by a beautiful brick fireplace, leaded glass windows and tons of character and charm. A large dining room leads to the kitchen, half bath and lower deck, perfect for entertaining. Upstairs are 3 large bedrooms, full bath and stairs leading to an incredible finished off bonus attic space. A second large deck is off the master overlooking the back yard, perfect for relaxing after a long day! Large basement with utilities and laundry. Incredible opportunity is a beautiful town!" "Charm abounds in this classic 3 Story home with an incredible amount of living space and potential. Located in the eastside of Audubon, this value alone is in the location outside of offering 3 levels of potential living space. Move in and complete updates as you choose or go for the gold and give this home a facelift all at once; the choice is yours. Property has 4 bedrooms but additional space which could easily suit bedroom space"
"Extremely well maintained Bungalow in the wonderful Haddonleigh subdivision of Audubon invites you in and welcomes you home. As you enter through the double doors, prepare to be amazed by the charm of this home's original hardwood floors, gas fireplace, beautiful hardwood staircase and spacious Living Room with expanded bonus area. This is not your standard layout!The staircase is located in the center of the home whereas it would traditionally be all the way at the back of the house. Past the Formal Dining Room is a Large Eat-in Kitchen with sliders to the back deck. Back the hallway are two good sized Bedrooms with plenty of natural light and a full bath with a jetted tub. Upstairs is a full bath, third Bedroom and a perfect area for a child's playroom. Back yard is cute and private. Oversized paved driveway and garage ensure that you will never run out of parking space. Home is located on Monkey Square which offers a great park like area for family and neighborhood get togethers. Location, condition and price...need we say more! Be sure to check out the Virtual Tour!" 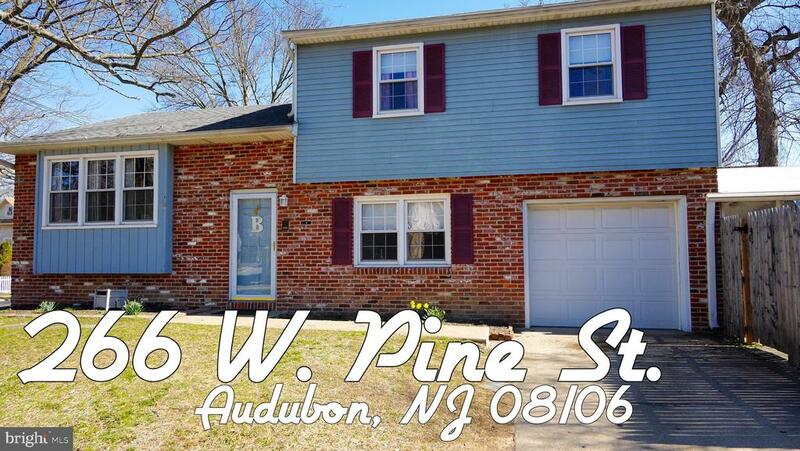 "Welcome to the latest and most desirable home Audubon Boro has to offer! This new listing offers the best of both worlds; a spacious home with many quality upgrades. Located in a wonderful area with great neighbors, close to major highways, and an abundance of shopping and activities, this home is most certainly a special place to live. 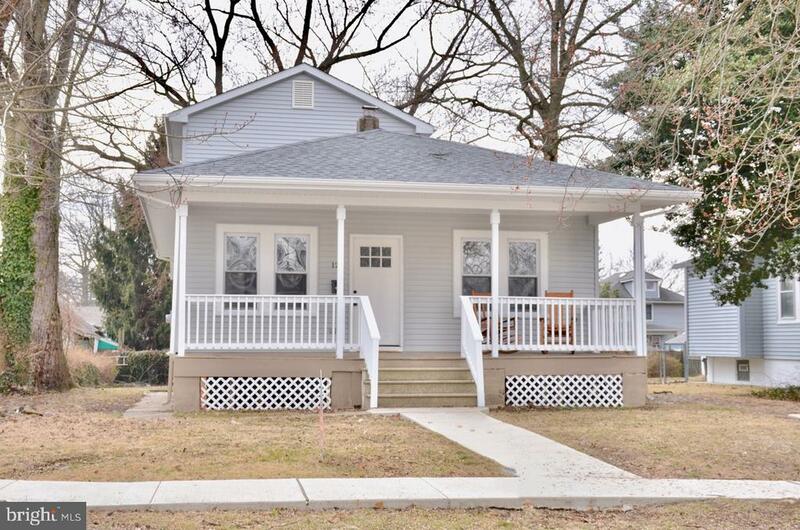 The exterior of this expanded bungalow offers a front porch that extends the entire width of the home - great for, sitting and relaxing during those spring, summer and fall months. This home also boasts a wonderful deck/porch at the rear with two levels. The first level which is accessed from the kitchen door provides a large eating area which easily accommodates all your friends for a barbeque. The lower level is the ideal space for you grille or smoker and some additional seating for those helping the chef. The oversized rear yard will easily fit all the kids' lawn toys and ample space for yard games at family gatherings. The rear yard is also fenced. In addition, there is a one-car garage with a storage shed at the rear. The interior has been painted and the hardwood floors just glisten. There are ceiling fans in almost all of the rooms. The living room is flooded with sunlight through 3 large windows. The dining room is large enough to host large family gatherings and holiday feasts. A set of three-bowed-windows make this room a sunny, cheerful room when entertaining. The dining room opens up into a well-designed kitchen, which was renovated a few years back and offers all the amenities for the budding gourmet, including Oak cabinetry, a tile backsplash and decorative tile flooring. Most impressive is the oversized peninsula with breakfast bar. There is an abundance of counter space and this room is topped off with a stainless steel sink, and the bright, sunny window over the sink make this room a joy to create family meals. There are many upgrades in the basement where a new basement floor was installed, a Fre"
"Oh my goodness this place is cuteness overload!! What a great place to call home. Remodeled throughout, open, light and bright floor plan and good size rooms just waiting for you. Laminate flooring throughout most of the first floor. Living and dining rooms enough space to entertain. Three good size bedrooms on the main floor. New full bath with tiled tub walls and floor on the main level. Upstairs has another bedroom and a new half bath. Eat in kitchen, granite tops, crown molding, recessed lights, tiles backsplash, pantry, and ss appliances. Sliders to fenced rear yard. One car oversized detached garage, seller will not make any repairs to the garage it's as-is. Call today for your personal tour." "Welcome to your new home! This 4 bed, 1 Bath has the luxury of resting in the desirable area of Audubon. The home has a NEW Roof, Siding, Windows, Hot Water Heater, HVAC, Electrical, Plumbing~~.all NEW, NEW, NEW!!!! Pull up into your driveway and enter your home to be amazed at the quality of every feature this home has to offer. The new flooring on the 1st floor, two bedrooms and the beautiful new carpeting on the 2nd floor has the additional two bedrooms. The floor plan is ideal, you will love making your way through this beautiful home. Hosting will be made easy, between the dining room for fun dinner parties, and the family room. The kitchen has New soft close cabinets, Granite Countertops, Stainless Steel Appliances, and a gorgeous Tile Backsplash. Looking to relax in your own magnificent space? Step outside and enjoy the relaxation of a beautiful Huge backyard! 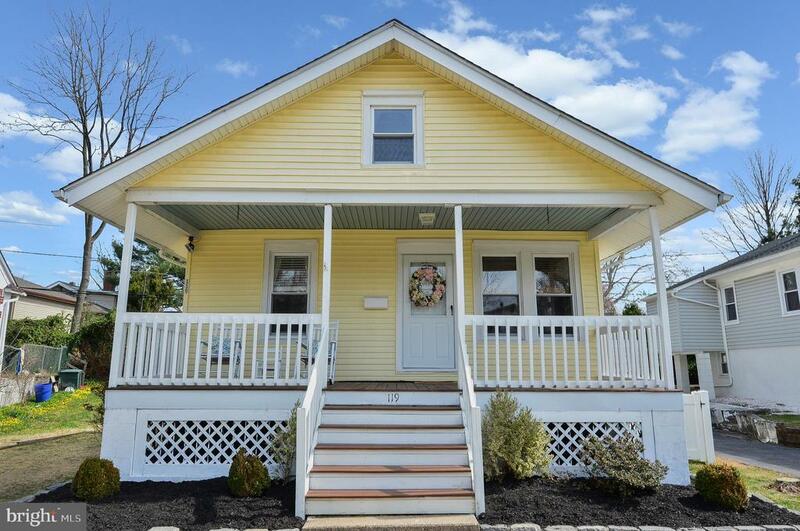 This house is in walking distance to transportation, restaurants, and shopping and route 295! Reach out to us today!" 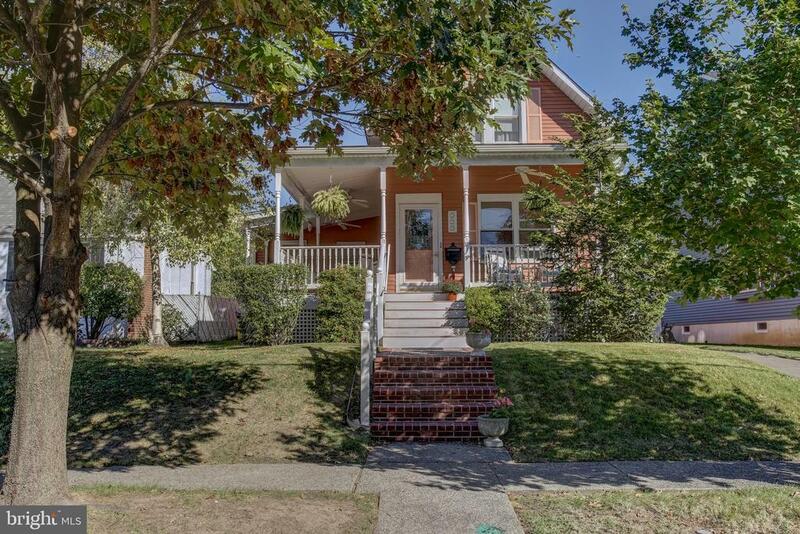 "Here's your chance to own a wonderful updated Bungalow located on the East side of Audubon! Enjoy peaceful relaxing on the large and open front porch, which sits back on a large oversized lot. 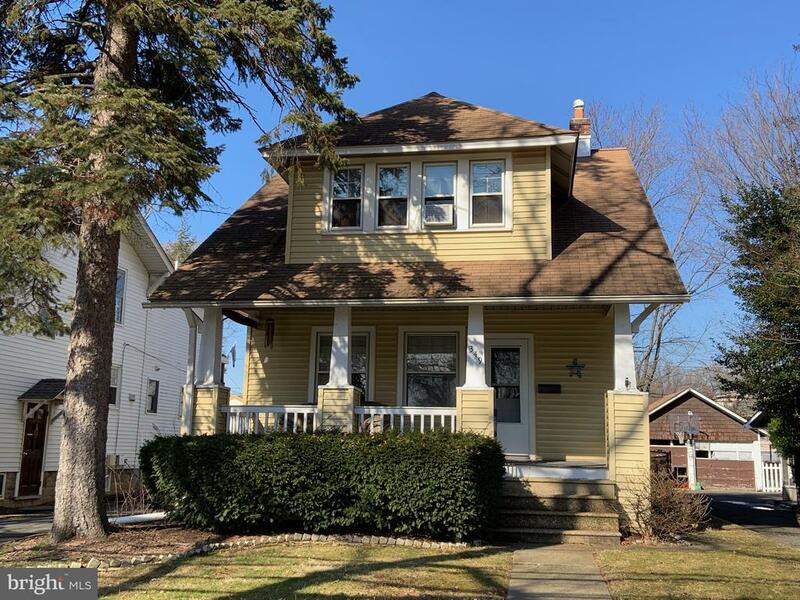 This beautiful home has been wonderfully maintained and upgraded, with added Central Air, new flooring throughout, and a completely renovated kitchen, which features new stainless steel appliances, granite countertops, and custom tile backsplash. There are 3 nice sized bedrooms and a gorgeous renovated full bath. There is a walkup attic and a full basement with a French drain, a spacious play area and plenty of storage. Walk out to the NEW back deck, perfect for BBQ's and family gatherings overlooking a convenient play area, which was designed and is utilized to perfection. 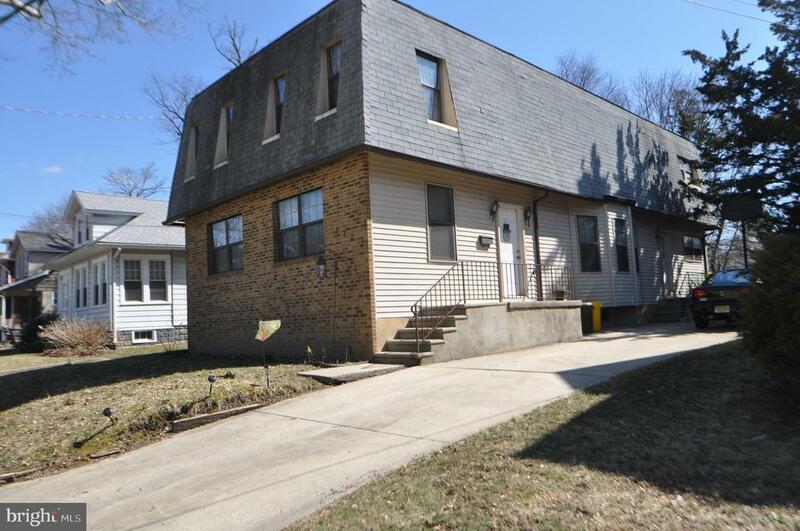 Great neighborhood, walking distance to the shops and stores on Merchant Street, parks and playgrounds, close to all major roadways and minutes to Philadelphia! Schedule your appointment today!" 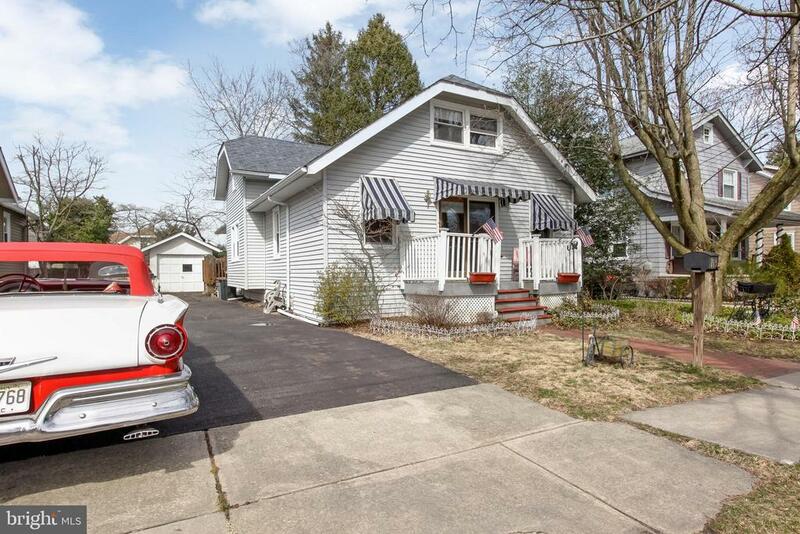 "Adorable 3-4 bedroom bungalow located on the east side with hardwood flooring throughout the home. A cozy front porch awaits as you enter the home. Pride of ownership shows through out. Many of the rooms have been freshly painted. The bathroom has a new toilet, vanity and tile flooring. Upstairs you will find two large bedrooms. The home has a full unfinished basement. The owner has decided to convert one bedroom into the laundry room but could be converted back to the basement by future owners. Some upgrades by owner include: newer garage door and opener, dual heat control, boiler had major parts replaced in March 2018, home was re-insulated, replacement windows, new toilet, freshly painted, GFI outlets installed. Outside in a detached two car garage and shed. Conveniently located behind the elementary school and next to a fabulous playground!" "Come take a look at this impeccable home in desirable Audubon for an incredible price! This beauty features 3 large Bedrooms & 1 Full Bath. Step into the living room and you will see beautiful high ceiling lines, sconces and an open floor plan. Through the dinning room you are lead to the kitchen with new stainless steel range & newer cabinets. Also on the main floor are the two large bedrooms with plenty of closet space & full bath. Upstairs you will find plenty of room to spread out in as this can be as a third bedroom and also play area. Need more room? Head down to the basement where you will have ample space. Bonus, there is new carpet & new fresh paint. Over sized backyard & driveway are added features for the next home owner to enjoy."